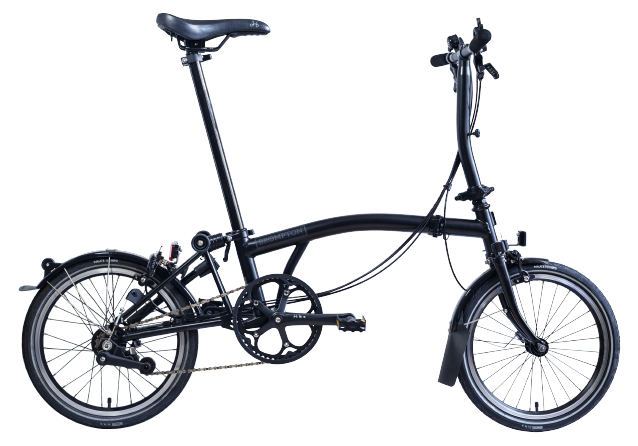 Folding your new Brompton has to be one of the most exciting moments, and it is entirely straightforward to get the hang of. Your dealer will have already shown you how it works, but it’s worth practicing a bit at home to really master it. Remember that dropping the seat post locks the folded package together and also allows you to use the saddle as a grip for carrying your Brompton with you. Give it a bit of time and you’ll have the fold sorted in as little as ten seconds - perfect for catching that train you’re always running late for. Check out David from the Brompton teams attempt at his fastest fold below! We can't stress how important this is. Register your bike online (it takes 3 minutes) and you’ll be the first to know about new product upgrades (most of our developments are retro-fittable), special offers and tips for getting the most from your Brompton. You’ll also activate your warranty, so registration is really worthwhile. Click here to register! This is an easy one to forget, but it really can make a world of difference to your riding experience - each Brompton comes with a pump for a reason! Tyres are just like balloons in a sense, staying inflated by means of a rubber tube, and much like balloons your tyres will gradually lose pressure over time and with use. This isn’t anything to worry about in terms of safety, but letting your tyres deflate too much can make for a sluggish and tiring ride. Use a hand or track pump to top your tyres up to 90 PSI every week (perhaps on a Sunday evening before the commuting week ahead) and you’ll keep rolling on in ease and comfort. As sad as it may seem, your shiny new Brompton will inevitably show the signs of city use sooner or later, and long for a good clean. 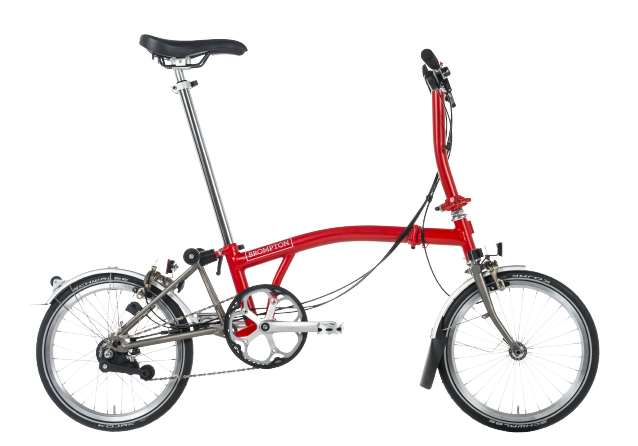 This isn’t just a matter of fussing over your Brompton, but one that will make your life much easier in the long run. Keeping your bike free from the grime and grit that any road can throw up will keep your brakes working effectively, your chain running smoothly and make everything last that bit longer. Pay special attention to the small areas around the rear wheel, as these can easily get grubby without you noticing. Click here to view our full Brompton cleaning guide. The choice of seat post lengths offered with the Brompton makes it suitable for almost every size, age and style of rider. There is, however, one more aspect of fit that can easily be overlooked: the saddle position. Everyone has a different body shape, so the default saddle position might make you feel bunched up or stretched out while riding. If so, moving the saddle backwards or forwards (speak to your local dealer if you’re not fully confident in adjusting this) can make a huge difference to your comfort. Check out our guide below. Why store all the essential tools to keep you on the move in your bag or pocket, when you can carry them on your bike? Our award winning Toolkit contains everything you need to keep moving and is securely stored inside the bike mainframe. Read more about it here. The community is a useful resource for all things Brompton, so why not join your local Brompton club? Easy to find on Facebook, these groups are the ideal place to get tips and tricks from other Brompton owners, and many arrange group rides so you can explore your city like never before. 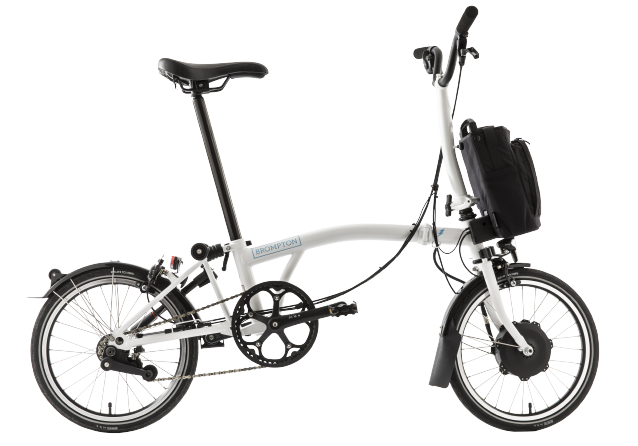 No one likes the discomfort of a sweaty back from riding with a backpack, so that’s why the Brompton can be fitted with a unique front carrier block. This sits on the head tube of the bike and allows a wide range of specially-designed Brompton bags to slot on effortlessly. Whether you’re riding to work or going further afield, there’s a Brompton bag that gets you and all you need around the city whilst looking your best. Check out the full range here.